The road passes through magnificent rolling countryside covered in olive groves and vineyards but then a rocky gully opens that hides a hot-water spring supplying the Terme Segestane (hot-water bathes) where we suggest you stop off for a dip; you will come out with a softer skin and more supple joints. Thus refreshed, at a certain point continuing your journey you will see upon high among the greenery a golden stone temple. You are approaching a city built by the Elymians who, according to the Greek historian Thucydides, were Trojan refugees. 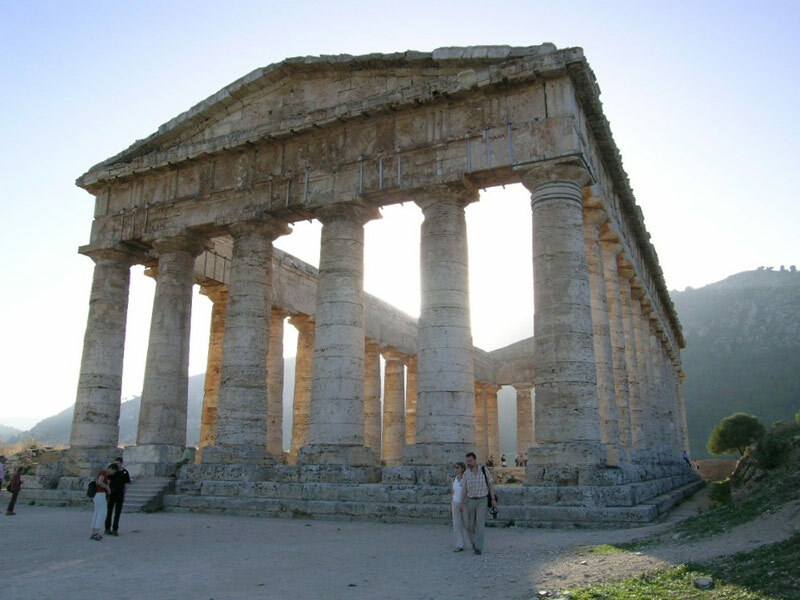 The foundation date is unknown but documents confirm that Segesta was already inhabited in the IX century BC. The V-century Doric temple has a perfectly conserved colonnade, but it was never completed, very probably due to the internal wars among the Greek colonies in Sicily that involved the city over a long period. In fact, the columns do not have the classic fluting of a Greek temple, was there no time to finish them? Higher still is the theatre that can be reached by walking up a panoramic footpath to the side of which can be seen the new excavations that have uncovered the remains of a stoà (a place where citizens strolled and discussed among themselves), an agora (where assemblies were held), and a bouleuteiron (a site reserved for the elders’ council). The high-stepped, semi-circular theatre opens onto a breathtaking panorama over the surrounding countryside with the sea in the distance. It could hold four thousand spectators but the steepness of its seating gives the impression of a more confined space inducing us to concentrate on the scene and the boundless landscape behind it. A cycle of events and concerts are held at sunset during the summer months. 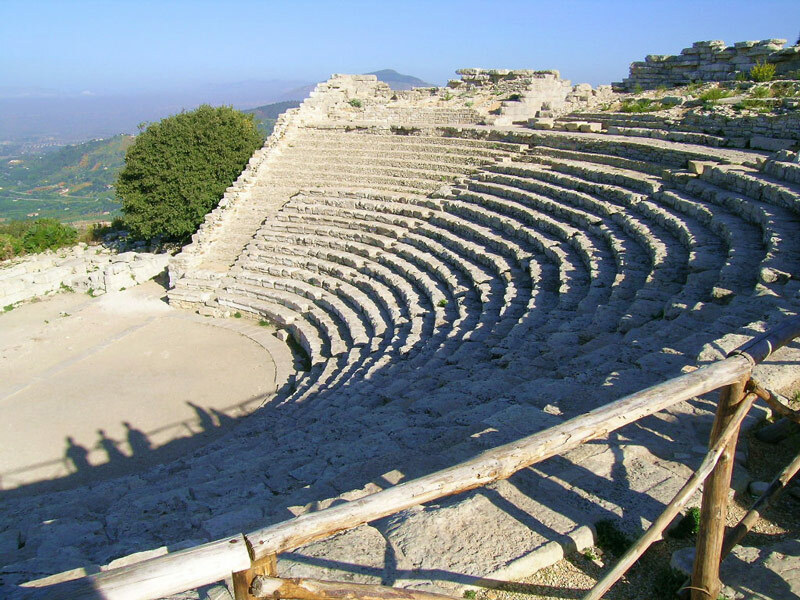 A visit to Segesta is an experience you cannot absolutely miss.